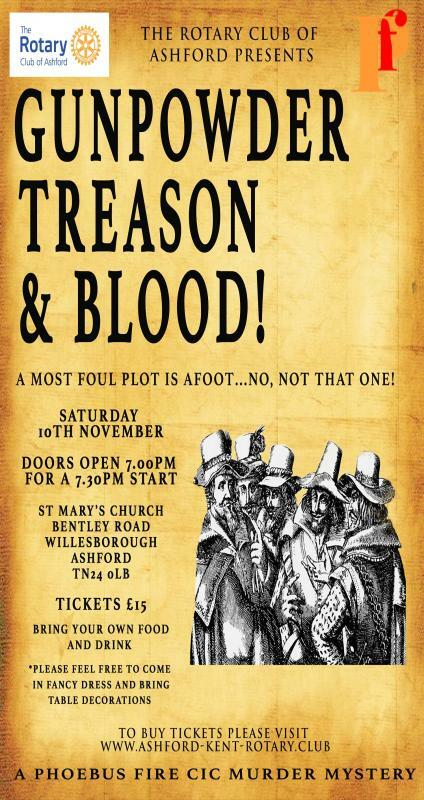 On Saturday 10th November Ashford Rotary Club hosted a Murder Mystery Night at St Mary’s Church, Willesborough. 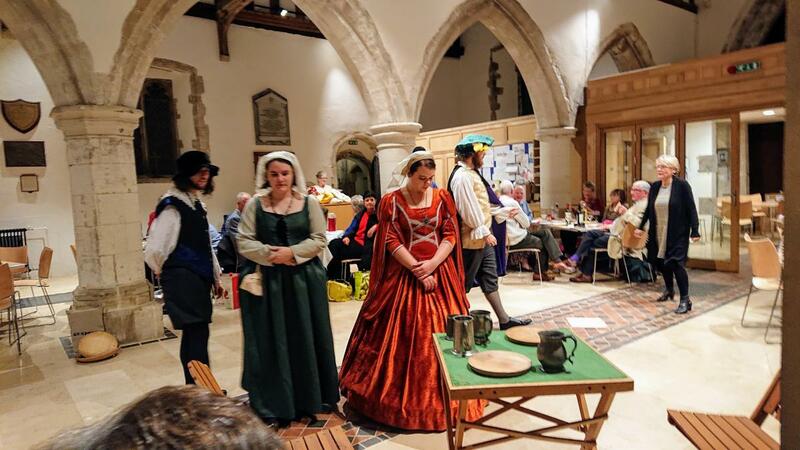 Phoebus Fire Community Interest Company, which supports local charities to raise money, provided the actors who enacted a mysterious event linked to those involved in the Gunpowder Plot. Approximately 75 people, mostly non-Rotarians, attended and endeavoured to solve the dastardly crime by using their detective skills and extracting information from the players. The team that won received a small prize to mark their success. It was a very entertaining night. Feedback tells us that we should do it again, so watch this space. We raised a substantial amount of money which will be used to support Leukaemia UK, the current Club President’s charity.